We are very excited to announce that we will be hosting a Rasha Designer Event here in our boutique show- casing Rasha's timeless chic wedding dresses for the modern relaxed bride. 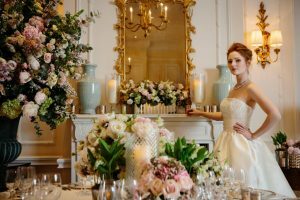 This special event will be held on the 1st - 15th of March 2019 at our bridal boutique in Bradford on Avon near Bath. We are very excited to announce that we will be hosting a Caroline Catigliano Designer Event here in our boutique show- casing Caroline's understated, luxurious 'Power of Love' Collection. This special event will be held on the 15th and 16th of February 2019 at our bridal boutique in Bradford on Avon near Bath. We are very excited to announce that we will be hosting a Caroline Catigliano Designer Event here in our boutique show- casing Caroline's understated, luxurious 'Power of Love' Collection. This special event will be held on the 3rd of November 2018 at our bridal boutique in Bradford on Avon near Bath. We are very excited to announce that we will be hosting a Caroline Catigliano Designer Event here in our boutique show- casing Caroline's understated, luxurious 'Celebrating Romance' Collection for 2018. This special event will be held on the 10th and 11th of November 2017. We are very excited to announce that we will be hosting a Suzanne Neville Designer Day here in our boutique show- casing Suzanne's modern yet romantic 'Belle Epoque' Collection for 2018. This special event will be held on Saturday the 21st October 2017. We are very excited to announce that we will be hosting a Suzanne Neville Designer Day here in our boutique showing casing Suzanne's modern yet romantic 'Portrait Collection' for 2017. This special event will be held on Saturday the 14th January 2017. 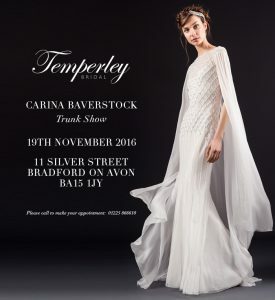 Temperley Designer Day November 19th 2016! WORLD EXCLUSIVE!!! Be the very first in the entire world to view the 2017 bridal collection all under one roof! 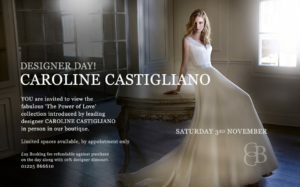 Caroline Castigliano Designer Day – 22nd October 2016! 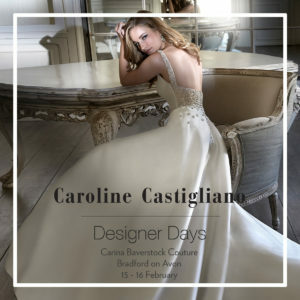 We are thrilled to announce that we will be holding an exclusive Caroline Castigliano Designer Day on Saturday 22nd October! Claire Pettibone Romantique Trunk Show! 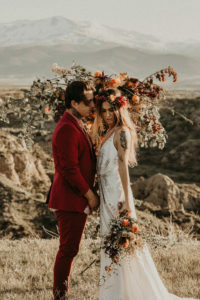 Introducing Claire Pettibone's Romantique California Dreamin' Collection at our exclusive Trunk show on 7th 8th October! !